This tri-fold mini wallet is crafted in an unexpected bi-colour design. The handwoven intrecciato piece opens to reveal a contrasting interior lined in smooth nappa. 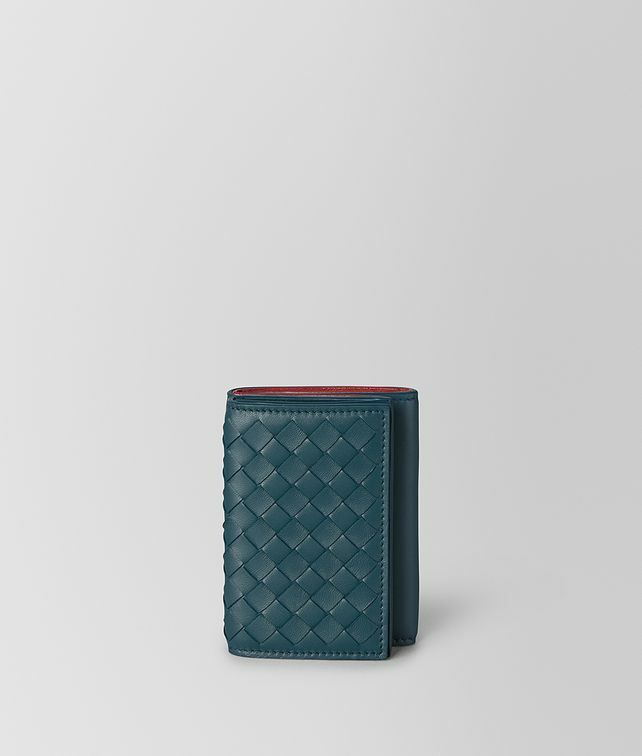 The wallet features an external snap-button coin pouch, while the interior is fitted with six card slots and a note compartment.